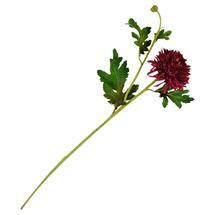 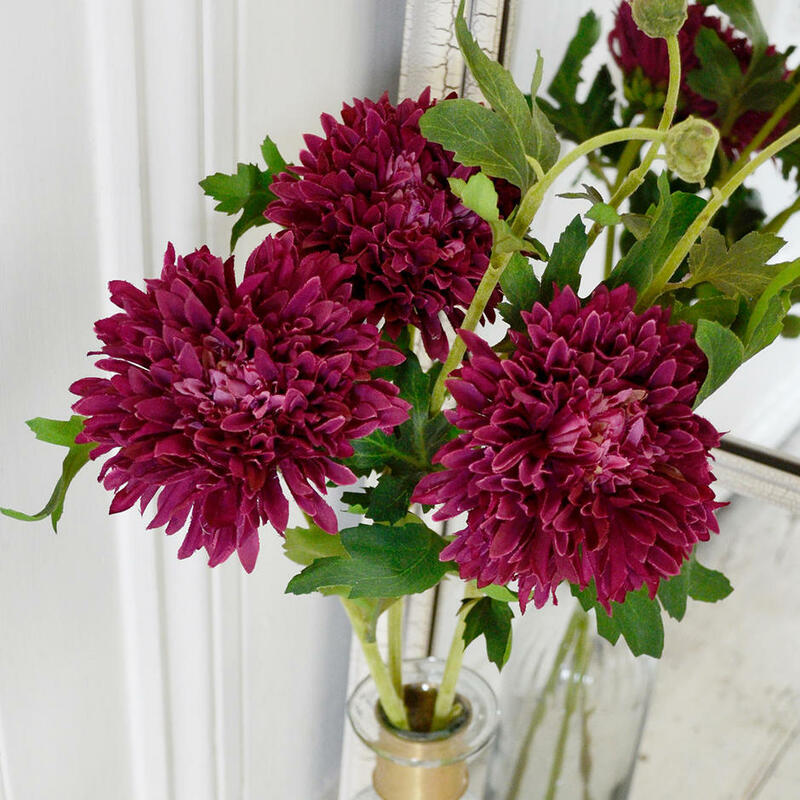 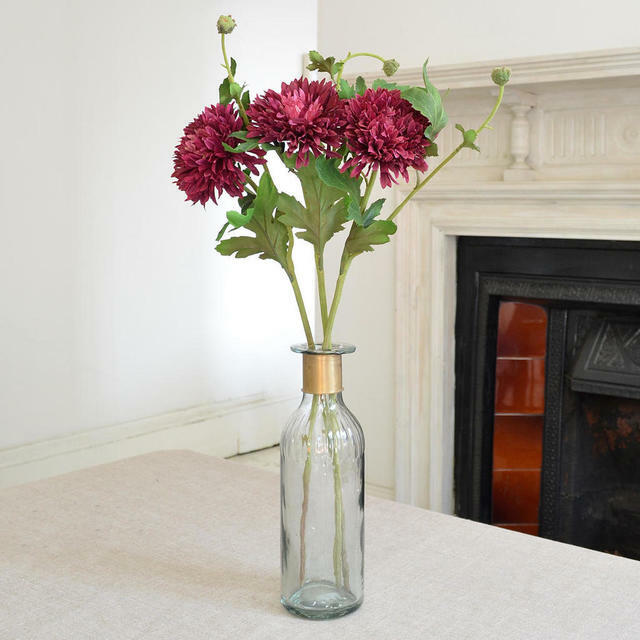 In deep rich jewel burgundy colours, these chrysanthemum stems are just perfect to pop in a simple vase for a casual arrangement. 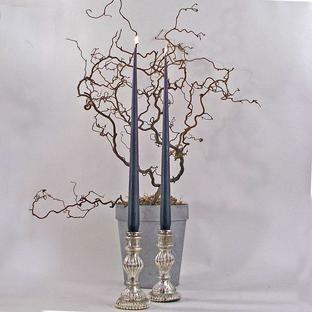 The faux stems are dainty and delicate, just like the real thing. 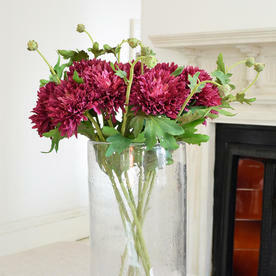 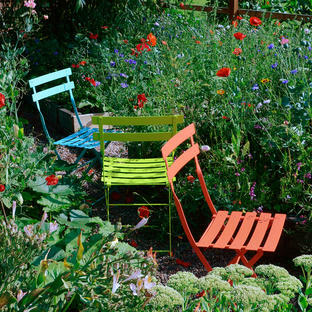 Try arranging in a zinc pot or florists bucket for a gorgeous contrast of colour and texture. Faux stems, flowers and buds.